JUSTICE Minister David Ford is facing questions over the appointment of a previously suspended prison governor to a key role in Maghaberry, Northern Ireland’s high security jail. Gary Alcock was suspended as governor of the young offender and female prison at Hydebank Wood in Belfast after a high profile investigation around the death of a 23-year-old female inmate in 2011. In a Prisoner Ombudsman’s report around the death of Frances McKeown, Mr Alcock was accused of failing to properly investigate claims the inmate witnessed inappropriate behaviour between a prison officer and a female prisoner. There was no suggestion the incident contributed to Ms McKeown’s suicide. The Northern Ireland Prison Service (NIPS) subsequently said Mr Alcock was disciplined. But it has now been confirmed he is to be the new deputy governor of Maghaberry prison, a move which Justice Minister David Ford said is consistent with prison service procedures and “the ongoing investment in development for senior governors”. It is understood the disciplinary process has been dealt with, and officials have previously said that in the complex working environment in jails, such issues can arise and should not be a bar to career development. But the DUP MLA Lord Morrow, who brought the appointment to attention by tabling Assembly questions to Justice Minister Ford, has called for greater transparency over how such appointments are made. The unionist peer said: "He [the Minister] confirmed this move is consistent with current NIPS succession planning and ongoing investment in development for senior governors. Lord Morrow indicated that the issue is the transparency of the process for making senior appointments. The senior DUP MLA has tabled several follow-up Assembly questions. In 2012 the Prison Service confirmed in a statement to The Detail that Mr Alcock was disciplined after being suspended as Hydebank governor. It said at the time: “Disciplinary action was taken against the member of staff concerned and they have returned to work elsewhere in NIPS." Within recent weeks Lord Morrow received answers to Assembly questions that confirmed that a former governor of Hydebank Wood was being appointed as the new deputy governor at Maghaberry. Following queries by The Detail, the prison service confirmed that Mr Alcock was being appointed to the role. But NIPS declined to confirm the extent of the previous disciplinary issue, saying it did not discuss individual disciplinary cases and that the information “could not be provided as disclosure would be contrary to the Data Protection Act 1998”. Mr Alcock was also offered the opportunity to make a comment through the prison service, but no response was given. Frances McKeown (23) was psychologically fragile, had a lengthy history of mental illness stretching back before her imprisonment and had threatened suicide many times. She took her own life in Hydebank on May 4, 2011, five hours after Samuel Carson, 19, died by suicide in a neighbouring block after a lengthy campaign of bullying. The prisoner ombudsman’s report into Ms McKeown’s death explored allegations that she was bullied by inmates after seeing a male prison officer kissing a female inmate. The report stated that while the bullying that Frances experienced continued for an extended period it stressed that it was not possible to say what impact this had on Frances’ already fragile mental health and that “an examination of all the related evidence suggests that it is unlikely that bullying by other inmates was a direct cause of Frances’ death at the time when it occurred”. A number of months before the publication of the full death in custody report the then ombudsman, Pauline McCabe, sent an interim copy of her findings to the prison service questioning the adequacy of the investigation into the allegation made by Ms McKeown and the subsequent action taken. As a result Mr Alcock was suspended from the governor post in May 2012 and an independent team from the Scottish prison service was commissioned to investigate the allegations. In August 2012 it was made public that the investigation team recommended a charge of misconduct in relation to Mr Alcock. But the full details of what happened thereafter, plus the appointment process at Maghaberry, are now being sought by Lord Morrow at the Assembly. Following Mr Alcock’s suspension, an interim governor of Hydebank was appointed and in March 2013 Paul Norbury, a governor for more than 30 years within the English and Welsh prison system was appointed as the permanent replacement as governor of Hydebank on a two-year fixed-term contract. However last month, a year after his appointment it was announced that the Deputy Governor of Maghaberry Prison, Austin Treacy, would be replacing Mr Nobury as the governor of Hydebank Wood. 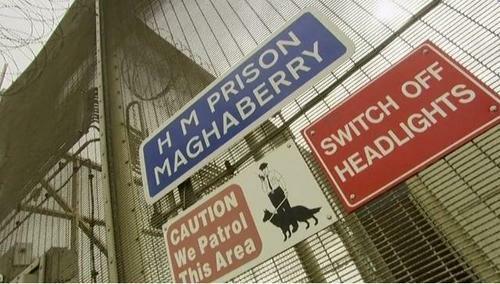 It has now emerged that Mr Alcock will be filling the position of Deputy Governor of Maghaberry prison. The date when Mr Alcock will commence his new role has not yet been agreed. In a statement to The Detail a spokesperson for NIPS said Mr Alcock’s appointment was “consistent with succession planning within the Northern Ireland Prison Service and the ongoing investment in development for senior governors over the last 12 months”. In a meeting of the Assembly’s Justice Committee in October 2013, which scrutinises the work of the Department of Justice, the head of the prison service discussed the issue of disciplining senior staff. Sue McAllister was asked why Mr Alcock was not reinstated back to Hydebank. She said: "I am slightly nervous about discussing individual colleagues in this forum. We are keen to offer development to senior colleagues who have been identified as having development needs, and it was felt that that individual would benefit from a different development that would, in the longer term, make him a stronger operator and enable him to make a better contribution to our service. She added that senior prison staff operated within a complex working environment.